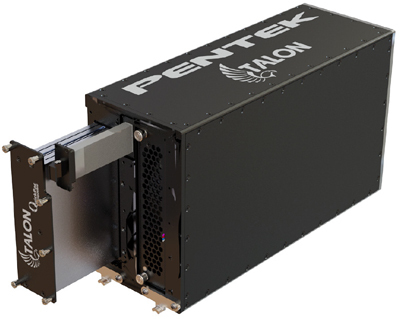 While real-time recording of a gigahertz or more of RF bandwidth is commonly available in 19" rack-mountable systems, shrinking this capability into a form factor suitable for UAVs, aircraft pods, or other confined spaces has proven challenging for the industry. Learn about the engineering considerations and design techniques used to develop a small form factor (SFF) rugged recorder that can handle the extremely high data rates associated with very wide bandwidth RF signal recording. Once upon a time (May of 1994, to be exact), a customer purchased a Pentek Model 4283 Single TMS320C30 Processor. It has worked reliably for 24 years. Recently, the customer sent it back to us. Not for a repair, but for re-certification (required by an audit). It passed all standard tests and all certification tests and is ready for shipment back to the customer, where it will resume its long and reliable work life. It is easy to get excited about all of Pentek's newest products, but there are reasons to get excited about Pentek's older products. In this case, a long life of flawless operation. Pentek offers lifetime support on its products — even discontinued products like this one. As long as replacement parts are available, we will repair it. But, of course, we strive to create products so dependable that repairs are not necessary! Like this one.